In what has been seen as a plan for food security in the future, the county government of Uasin gishu has invested in a multi million project to enhance its future prospects. 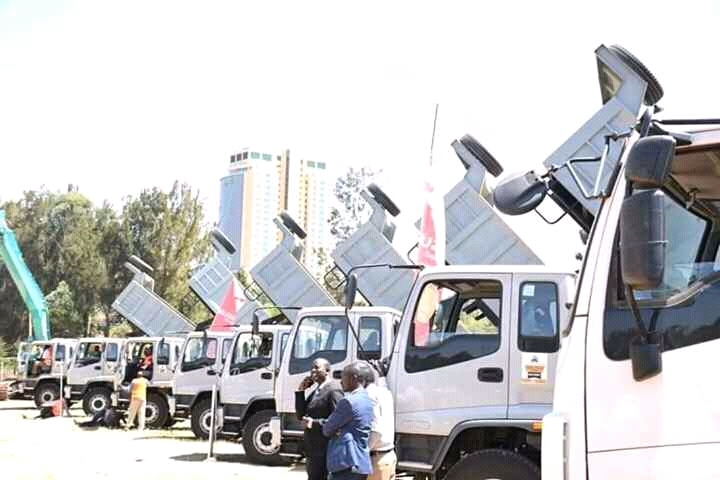 The county government led by His Excellency Governor Jackson Mandago yesterday launched lorry and tractors that will be disbursed in respective county sectors. In a statement to the press; Governor Mandago attributed the decision of acquiring the facilities to efficiency in service delivery to residents. 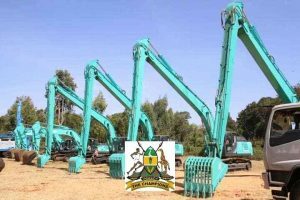 Machinery launched includes; drilling rigs, crawlers excavators, long arm excavators, graders, tipper lorries and agriculture equipment to revamp agriculture sector in Uasin Gishu. Long arm graders, this are some of the Machine’s that the county government of Uasin Gishu acquired. The machines are set to immediately start working in a number of projects set to start soon. For instance; drilling of clean water in Ngatit primary school in Kaptagat and Cheptiret dispensary is set to commence in a weeks time. The county is also keen on improving agriculture production by ensuring it expands volume of water for irrigation. Several sites for borehole construction have been lined up, while dams that already exists will be cleaned to remove reeds. The move is aimed at encouraging farmers to practice horticulture by irrigation during dry seasons. This move is coming few months after a section of government leaders from the region called for diversification of agriculture. In the neighbouring counties of Trans nzoia and Bungoma, things are not different, Trans nzoia county for instance has invested Sh 3billion in mega water projects, this will enhance irrigation during dry seasons.